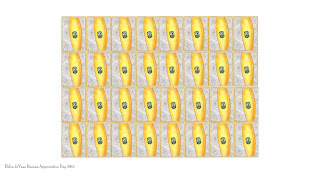 Banana appreciation day was on the 18th of November. I'm never sure if these dates are exact but what I do know is that when the bananas start arriving it is always amusing. This contraption from Heleen in Holland is USEFUL mail art. 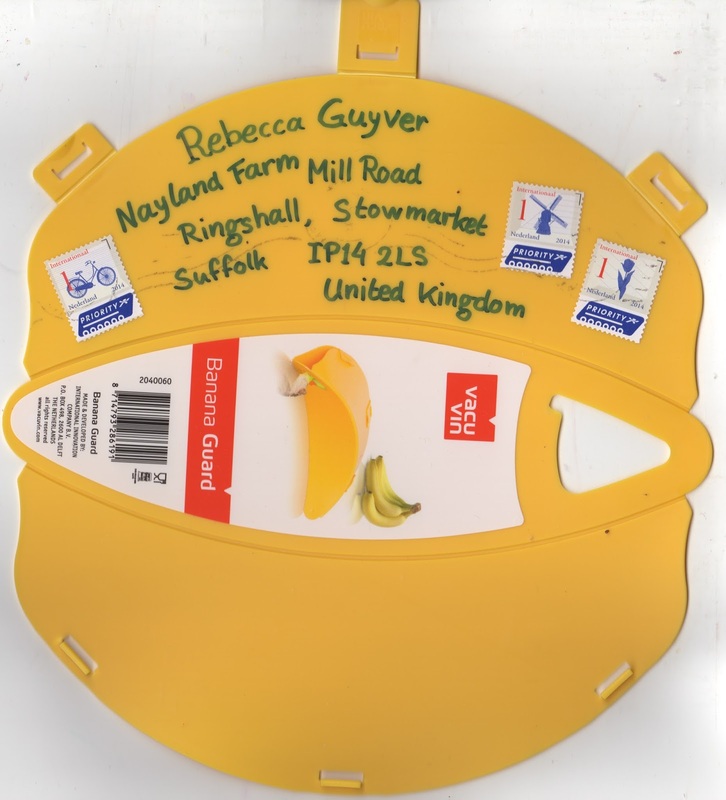 It snaps into place and I can place my banana in its 'guard' and protect it from the slings and arrows of, say, a day at a primary school. 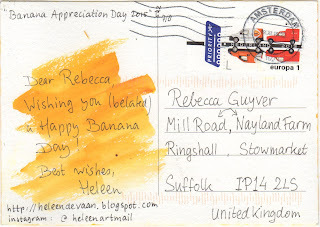 I got two mailings from Heleen and this one is mail ART. 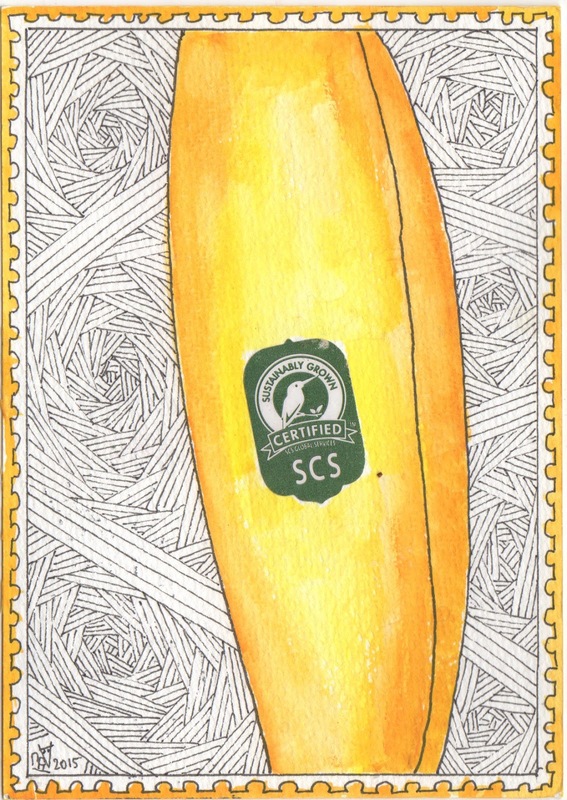 I love the combo of mail art and zentangle with a recycled banana label added to enliven the image. 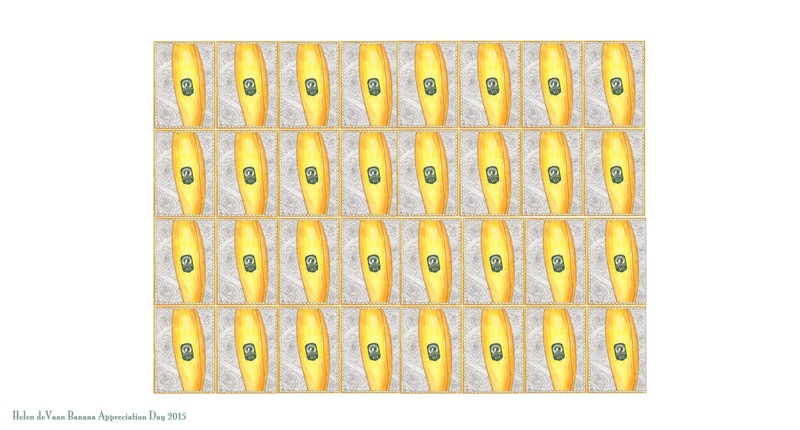 The stamp effect is perfect too. I couldn't help myself and made a sheet of Heleen's stamps to use myself. Feel free to use them yourself! My banana is your banana, isn't that right, Heleen! 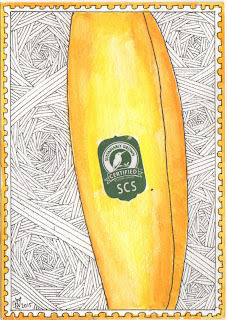 I am starting to catch up on all the life tasks I have been swamped by and finally made my banana mail today, so once i address it, it will be outward bound. Thanks Heleen!